I got this large ginger jar as a birthday gift and planned for it to go here on the chest. I haven't done all that much with the classic blue and white in my decorating but I've always admired it. 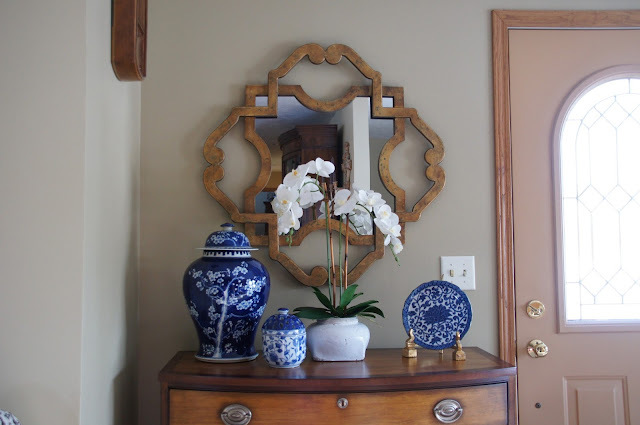 I rummaged around the house and found a couple more blue and white pieces and created this vignette. A little more Asian influence. I ordered the large ginger jar from The Enchanted Home after I saw she was having a sale. 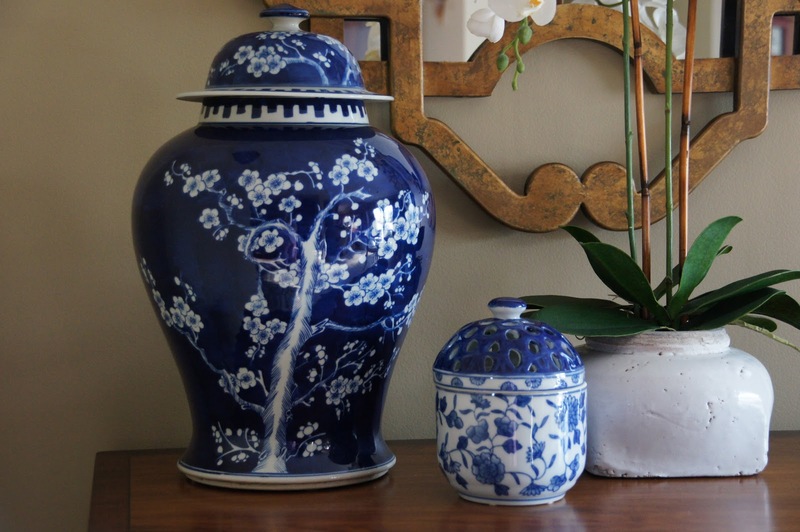 The little blue lidded jar came from Bombay long ago. I believe it was sold for putting potpourri in. The top would allow the aroma to come through. I've put a tea light inside of it and which has a nice affect too! In a quest to add some blue and white several years back I ordered these dishes which are labeled Andrea by Sadek. I found them in my dish closet and had forgotten about them! I played with the arrangement several different ways and finally decided this was the best look. What is it about blue and white together. It just makes you feel happy. 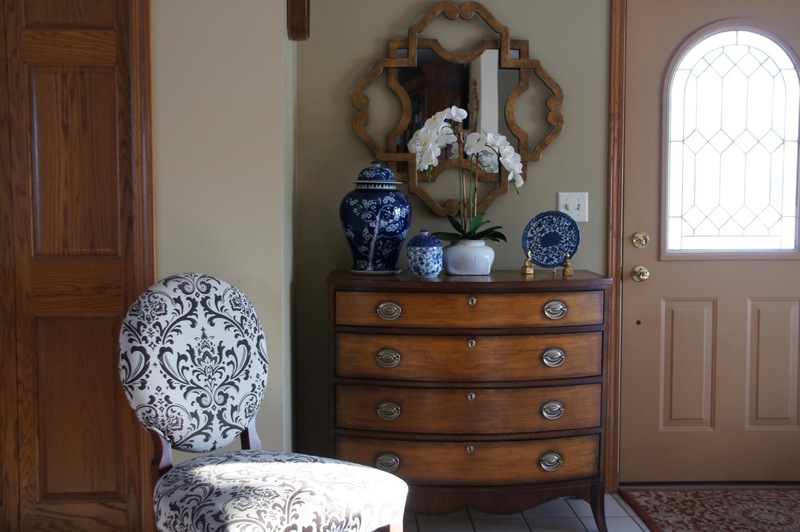 I want to find a spot in my house for some blue and white. Have a great week. Looks lovely! 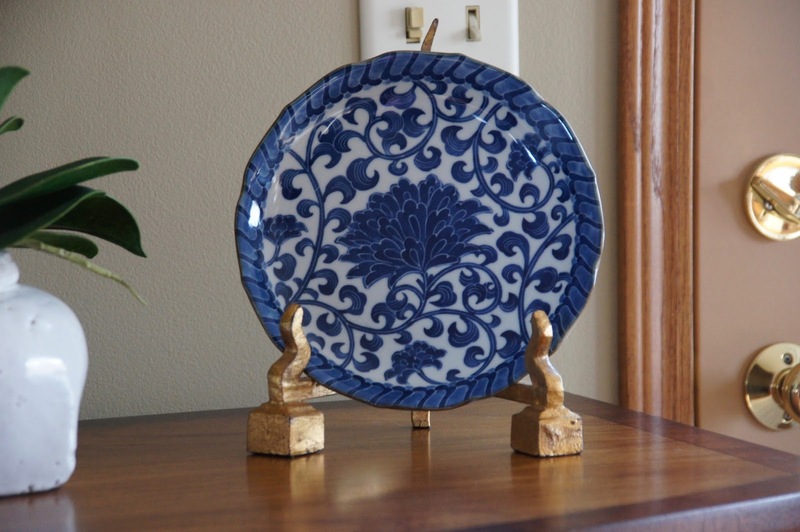 I've always really liked blue and white - like my Liberty Blue dishes. 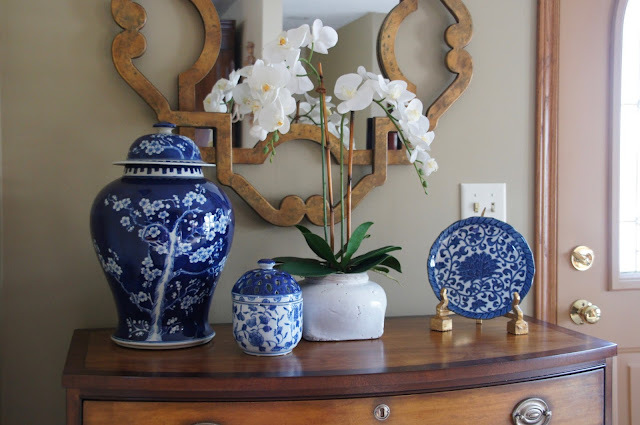 You've made a really pretty vignette to refresh the tabletop. 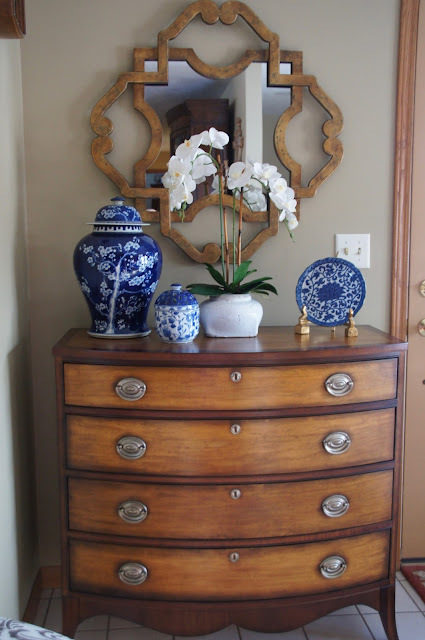 That small plate looks a lot like Ralph Lauren’s “Mandarin” design! It’s beautiful! I’m trying to go blue and white in my dining room this summer, and this is inspiring. Looks great Liz and I am loving the mirror too!